Insulin isn’t a cure… it’s also not a cause. This was shared in Type 1 Group that I participate in. This plaque/exhibit is located at the National Museum of American History, which is part of the Smithsonian Institute in Washington, D.C. It just goes to show that even in the scholarly community there is a lot of ignorance and misinformation about type 1 diabetes. For those of you reading this who have T1 or are raising/have raised a child with T1 you can understand why this is upsetting. Before the discovery of insulin in the early 1920’s, people who developed diabetes usually died within a few years. Although insulin therapy was not a cure, its use, along with dietary control and constant monitoring, enabled diabetics to live long and active lives. The success of insulin therapy created a growing population dependent on the drug. Over the past 20 years, unhealthy changes in lifestyle and eating habits have contributed to a dramatic increase in the number of Americans with diabetes. Together, these factors have generated an ever-expanding demand for insulin. For those of you who don’t see a problem with what is written: That is the problem. There are many awareness campaigns out there about Type 2 diabetes and how getting active and eating a healthy diet can help prevent developing type 2, but there is little differentiation, even in the medical community about the Type 1 and how it differs from Type 2. Those who are uneducated on the subject (and even some of those who should be educated, but aren’t) seem to lump the two together not realizing that they are in effect blaming children (or parents) for their child getting Type 1, when in fact there are no prescribed risk factors, no prevention techniques, and often no real indication of there even being a risk. Only about 10% of people who are diagnosed with Type 1 have any family history, which means that for 90% of those diagnosed, they often have no idea they were even at risk until they were diagnosed. Type 1 and Type 2 are vastly different conditions, caused by different things, and the treatment is also managed very differently. The similarity is that without treatment they both cause high blood sugar, which causes excessive thirst and frequent urination, among other symptoms. The name diabetes mellitus comes from Greek and Latin origins with the “Diabetes” meaning “pass through” or “siphon” while “Mellitus” means “honey” or “sugar” and refers to the urine passing through and being sweet. In ancient cultures “sweet urine” was first discovered by the fact that people with this condition had urine that attracted ants and had sweet odor and taste. Anyway, Type 1 diabetes, which is an autoimmune condition, is when the insulin producing cells in the pancreas are attacked and killed by the immune system causing the person to no longer produce insulin, requiring the use of insulin from an external source, today that is primarily synthetic human insulin. The exact cause of the autoimmune reaction that triggers the cells in the pancreas is still a bit of a mystery in the medical community. 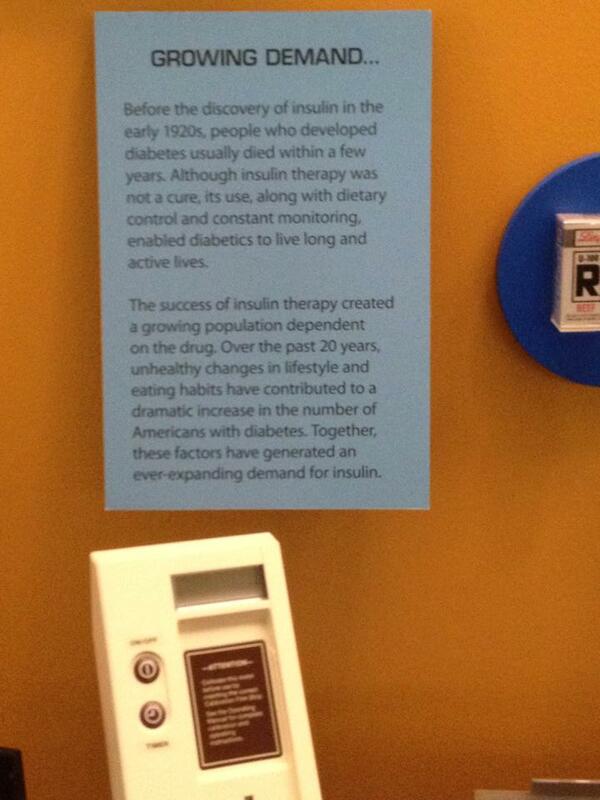 But, the fact of the matter is that without supplemental insulin people with type 1 diabetes will die. No amount of exercise and healthy eating will cure them, or even treat them, without also having injected insulin. There currently is no prevention or cure for type 1 diabetes and the most effective treatment is injection insulin. Type 2 diabetes, on the other hand, is when insulin is still produced by the pancreas but the body does not use it efficiently because their cells are insulin resistant. A low carb diet and exercise both help to increase insulin sensitivity, as well as certain oral medications. Diet and exercise can be used to maintain relatively “normal” blood sugar levels in someone with type 2. In some cases, people with type 2 may progress to a point that their pancreas is working extra hard to provide enough insulin to meet their increased needs due to insulin resistance and some of their insulin producing cells may be overworked and stop producing, requiring the person to also use supplemental insulin, but again this is in conjunction with lifestyle changes and oral medications to increase their response to the insulin they make as well as insulin they may receive from an outside source. The cause of Type 2 diabetes often has to do with a genetic pre-disposition and can also be further contributed to by poor nutritional choices and little exercise. In a lot of cases type 2 can be prevented, or managed with a proper diet and moderate exercise and insulin is rarely, if ever, a first line treatment for Type 2 diabetes.